Dehydrated? Get more sleep….Tired? Drink more water….it’s all connected. This article reviews what we already know about proper sleep time and quality: if your sleep is disrupted it affects our entire body chemistry. Kidney function is also impacted by Sleep Apnea and other sleep breathing problems. Proper length and depth of sleep is known to affect judgment, executive functioning, attention, mood, as well as a significantly affect our heart health, blood pressure, and increases risk for type 2 diabetes. 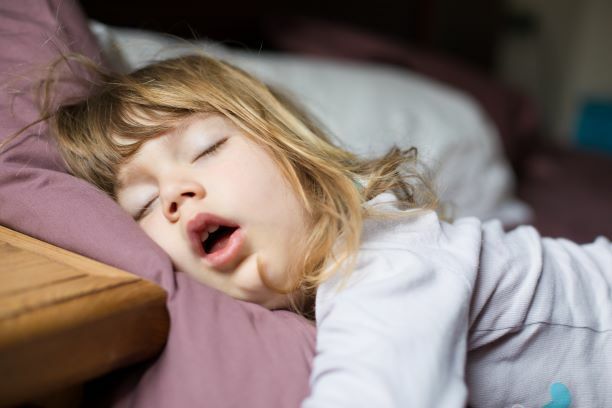 It’s been known for decades that children who bed-wet and adults who need to urinate 2-3 times at night likely have Sleep Apnea or one of a couple sleep-breathing problems. Rosinger & colleagues analyzed 2 large database studies from China, looking at over 20,000 healthy young adults. 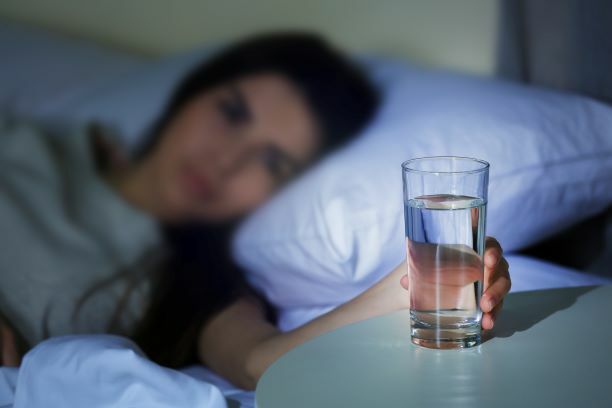 Sleeping (16-59% more likely) less than 6 hours was correlated with dehydration by symptoms (thirsty) and measuring urine concentration and amount. Disturbed or shortened sleep disrupts the release of vasopressin, a hormone released at night when sleep quality and duration is normal. This hormone is released later in the sleep cycle in greater quantities and with increasing frequency the longer you sleep. WHY???? Without vasopressin, our kidneys would continue to “fill” throughout the night, causing us to wake up and urinate 2-3 times over a normal 8-hour sleep period. Vasopressin is released throughout the lateral stages of sleep and, with increasing release later in the sleep cycle. This makes sense…if you’re sleeping a “normal” 8 hours and entering all the stages of sleep such as REM and Stage lll, the body releases Vasopressin in those deeper sleep stages to slow the kidneys from filling up and causing you to wake up, go to the bathroom and, have to go back through the sleep stages…it’s disruptive to the body/brain repair sequence as we sleep. Children with enlarged adenoids and tonsils can’t breathe well in deep sleep, so the body makes them restless and deprives their brain of REM sleep…all the while allowing their kidneys to fill. The result: bedwetting. Amazing how our physiology is so intricately designed! Research shows that use of electronics pre-bedtime can affect sleep. 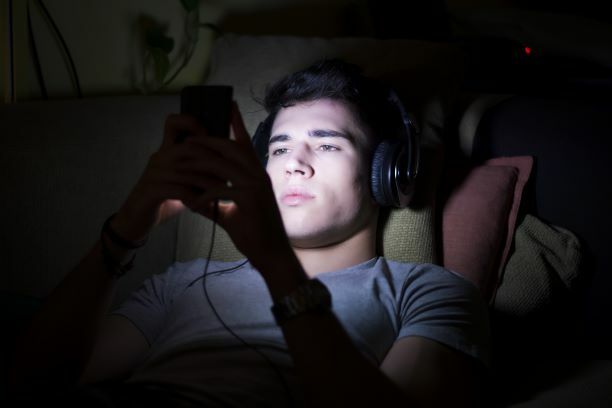 A recent study of college students’ use of Cell Phones after “lights out” was shown to definitively contribute to sleep disturbances and mental distress. This was a large, significant group of almost 4,400 college students self-reporting cell phone use and specifically, use in bed after “lights out”. The pre-post testing took place over 8 months and measured many variables. Excessive cell phone use was defined as 4 hours per day or above. To most of us, this does not seem excessive, but it was considered excessive in this research. Excessive cell phone use was positively associated with sleep disturbances and mental distress scores at follow up (8 months…a great long-term study). They also looked at the results when the students stopped using the phones after lights out, the symptoms declined back towards baseline measures of normal sleep and distress…that’s good news! 84% of students (college) used their phones every day (4+ hours) and compared it to adolescents (junior high) excessive use (2+ hours/day). The study also compared the effects of Melatonin secretion (great study) when the cell phone was used pre-bedtime VS after “lights out”. Melatonin is a hormone that is secreted as the sun goes down and helps “ready” the body for sleep. Use of the cell phone pre-bedtime decreased the initial amount of melatonin secretion, but it “caught up” over the night….it was delayed and slowed…which would disturb sleep onset and perhaps initial quality of sleep. After lights out there were EEG changes and delayed melatonin secretion. Of interest, they also commented on texting VS talking. If conversations are emotional, thoughtful, or considerable they contribute to insomnia because of the release of emotional hormones. Text doesn’t require the sender or receiver to be ready for the communication, and a response may be well after the sender’s “purpose” has been forgotten. That could re-engage or excite hormonal release. Texting is far more common than talking for “convenience” and (my opinion) doesn’t require as much emotional engagement with all topics. Overall, this was interesting in that Text messaging after “lights out” had a negative and statistical effect on sleep quality, duration, anxiety, insomnia. Take Away: put the phones in another room pre-bedtime and leave them there until morning. Your brain will thank you for it!! If you search for advice with TMJ problems, some sites suggest simple self-care is all you should do. And they say it’s a “self-limiting muscle tension problem” that will resolve. Decades ago that might have been believed. With improved imaging technology, there is understanding of the progressive damage to the TMJ (one study showed nearly 90% of adults have a misaligned TMJ) that is asymptomatic or episodically painful or showing signs of irreversible damage, such as clicking or limited opening. Damage to the cartilage disk inside the jaw joint begins years before signs or symptoms and is easily recognized with 3D cone beam imaging and good clinical skills. If found, it can be monitored for damage or treated before irreversible damage has occurred, if patients choose to. A few “TMJ Advice” sites are very adamant in “not doing anything that will change the bite (or occlusion)” for a TMJ disorder. Here is the dilemma. The study mentioned earlier showed (by MRI on about 100 adults seeking braces) that most had displaced discs in one of their jaw joints. The TMJ joint is misaligned in most of us as we grow, due to functional habits, genetics and environmental growth interferences (allergies). If your teeth aren’t ideally aligned (without braces) then YOU are one of the 90%. You may or may not develop pain, but you will have intermittent damage to the joints as the years go by. Unequal growth of the upper and lower jaws is the instigating factor. Unequal size of the upper and lower jaw is seen as crowded or crooked teeth (even mild). Bruxing and clenching of teeth is also a symptom of this misalignment (as well as other things – stress is only a minor contributor). Over time, the cartilage, bone, or muscles may develop symptoms as damage progresses. Over several years, it becomes an obvious problem. If you can’t fit your 4 fingers between your open mouth (like a salute) you have TMJ problems, regardless of pain, at any age. Three fingers width is typically chronic degenerative disease that may have burned out and is often without acute pain. It does flare up easily with dental care. Do nothing. Because you have been told it is “self-limiting”. As the joints/cartilage degrade or become arthritic, the lower jaw will begin to shift and cause either a noticeable bite changes or, result in bruxing, broken molar teeth, painful teeth, etc. This is the early phase. More advance damage can cause the front teeth not to touch when biting, or contribute to more teeth breaking, etc. This is a pathologic result of TMJ damage and represents a bite change. Some are dramatic. So, doing nothing WILL result in a bite change. The TMJ Association is vocal with this approach. They advocate self-help, counseling for chronic pain, and a multitude of pharmaceuticals to suppress bone damage, muscle tension, anxiety and stress, depression, etc. They are also strong advocates of psychological counseling. Their board (last time I looked) has PhD’s from pharmaceutical and psychology backgrounds. A couple dentists have received grants from them and focus on the “psychosocial” approach with some doing tooth grinding as their method of treatment (…that changes the bite… what they say NOT to do). For some cases this is appropriate but based on studies, it should be less than 10% of sufferers). Adjust the “bite” or equilibration of the teeth. Sometimes it is a minor 1-2 tooth re-shaping (due to the underlying bigger problem mentioned above) or to try and relieve muscle symptoms or joint clicking (a dislocated disc). Grinding down the teeth (and using a “bite plate” in between sessions to “relax the muscles”) is, essentially allowing the joint to degrade and grind the enamel off the teeth until the joint is so badly damaged it stops degrading or “burns out”. Often at this point the recommendation is to “crown all the teeth” because the enamel has been ground off and the teeth are flattened. The “restoration” is to restore the grooves on the teeth. What happens if the joints start degrading again? A new round of grinding the crowns and later replacing them again. I don’t support this approach as it is simply following the self-destruction of the TMJ – similar to “do nothing”. Orthopedic approach. This is what I follow and have for 30+ years. It has strong support from orthopedic literature, and organizations including the American Academy of Craniofacial pain, International College of Craniofacial Pain. The American Academy of Orofacial Pain is also embracing the orthopedic approach in recent years. The use of orthopedic orthotics (just as an orthotic can correct a leg length problem and eliminate hip/back pain) to place the damaged joint under traction, allow disc repair and re-alignment. The reflex-driven muscle tension/pain is almost always resolved. 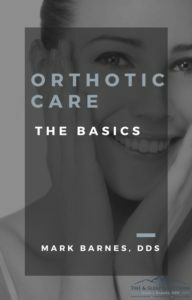 Once improved, a long-term use of a stabilizing orthotic supports the joint in a proper, comfortable position without damaging the teeth. This does result in a slight “gap” between the back teeth (due to re-alignment of the jaw from the distorted growth – the 90% of us). I recommend use of this device indefinitely or for 1-2 years to insure the condition is stable and comfortable. Some patients elect to undergo carefully guided orthodontics or crowns (if dentally indicated) that maintain the exact alignment the orthotic had, but this is the minority. Surgery. All websites and groups support that this is a “last resort” in cases when damage is so widespread from trauma, misdiagnosis, systemic disease or craniofacial syndromes. Surgical entry into the TMJ does considerable damage and always require post-surgical orthopedic therapy (# 4 above) due to the significant, post-surgical bone damage and joint destruction. The bottom line is: You acquire a TMJ disorder because of unequal growth of the jaws. Genetics, large tonsils and/or adenoids, having a “tongue tie”, or other environmental influences on growth in the first few years of life. Correction of a TMJ disorder, will always change the alignment of the jaws and, “the bite”. If you use an orthopedic approach the “bite change”, is really a correction of abnormal jaw growth. If caught early we can use orthopedic orthodontic principles to guide growth and lessen the chance of developing a TMJ problem later. September 18, 2018 Comments Off on You, The Well-Informed Parent: Advocate for Your Children and Teens! If you find your child mouth breathing most of the time while sleeping or when sitting quietly, they have been oxygen deprived. Humans are typically the only “animals” that routinely breathe through the mouth instead of the nose. Watch your pets or animals; unless they just finished a bolt of running, they breathe through the nose, quietly and peacefully. Sleep has different “stages” that we cascade through during a normal night’s sleep. The 1st three stages are part of “Non-Rem” sleep and progress from initial drowsiness to deeper, restful sleep. REM (or dream-state) sleep is also important for neurocognitive restoration. Our brains and body require that all stages of sleep be attained for optimal health. Mouth breathing can interfere with these important parts of sleep and may prevent REM sleep from occurring. In adults, you might recall when you wake after having a few adult beverages….you “sleep” but you don’t feel “rested”. That’s because alcohol interferes with some REM sleep stages. Your brain doesn’t get the restoration it requires nor does the rest of your body. Mouth breathing has a similar effect, especially in kids. It can interfere with REM sleep. Do you dread trying to wake your kids for school? Maybe they aren’t getting all of the stages of sleep necessary during sleep. Is their mouth open when you walk into the bedroom? If they consistently mouth breathe at night that’s a problem. Proper nasal breathing is critical for growing children, and adults. During early childhood, an inability to nasal breathe can manifest with problems breastfeeding, or bottle feeding, latching, etc. Facial development will be altered in a negative way. The jaws will have unequal growth that can lead to TMJ problems, sleep issues, and brain development. A longitudinal study (Avon Longitudinal Study of Parents and Children) looked at the effects of consistent mouth breathing of 11,000 children under the age of 7 and found a significant connection between SDB (Sleep Disordered Breathing) and ADHD, aggression tendency, anxiety, and other behavioral manifestations. Most significantly and concerning was the finding that SDB symptoms that are present before age 5 were associated with a 40% greater chance of special education needs by age 8. In my experience, most physicians aren’t aware of the critical importance of aggressive airway management before age 10 and often shrug off snoring, bedwetting, frequent respiratory illnesses, enlarged tonsils, et. al. that we see most every week in children and teens with TMJ problems manifesting as pain and problems opening the mouth. Get a TMJ/Sleep trained Dentist to help educate your pediatrician or doctor about early intervention. We are here to help you navigate the details. 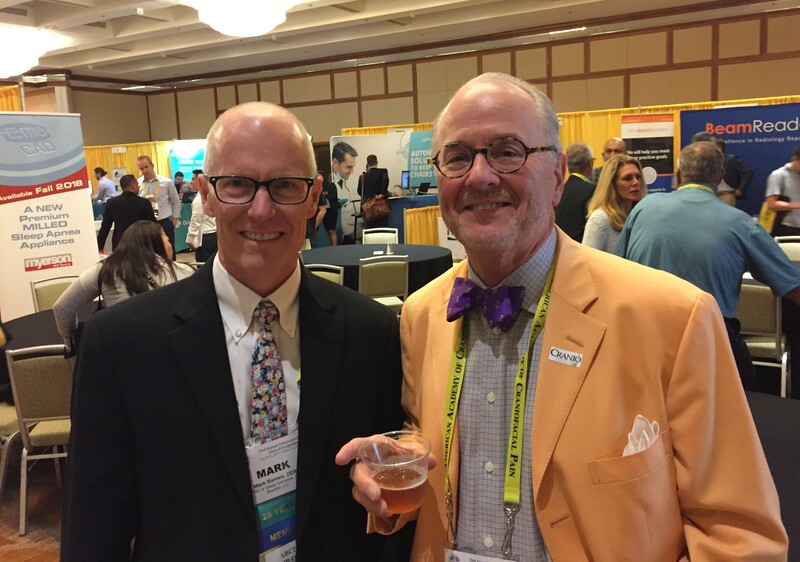 I attended the annual conference of the leading TMJ/Craniofacial pain organization this past month in which I hold a Fellowship status (AACP). After hours, I was able to spend more time with friends and mentors, often we learn as much sharing ideas and techniques as in the actual conference. There is an increasing awareness and focus on the importance of proper nasal breathing, management of sleep disordered breathing problems such as Sleep Apnea, subtler Upper Airway Resistance Syndrome (typically in women who have poor sleep and excess fatigue without snoring or obvious apnea) and sleep breathing signs/symptoms and effects on growing children that are often missed. I am Board Certified in Dental Sleep Medicine by the American Academy of Craniofacial Dental Sleep Medicine. Later this summer, I’ll be attending a similar conference with another organization I hold a Mastership status in (ICCMO) and look forward to spending time with those colleagues, many of which are the same experts. 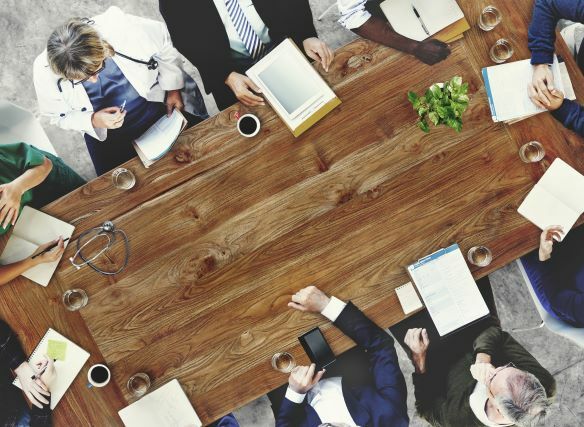 I look forward to expanding my knowledge base, clinical tips and techniques, and comparing notes with my friends who are also leaders in the field of TMJ and Dental Sleep Medicine. Have you ever had a coach or a trainer tell you to breathe in through your nose instead of your mouth? There are scientific facts that prove nose breathing is better for you. Optimal oxygen exchange occurs when we breathe through our nose versus the mouth. You get more than 30% more oxygen with each breath taking a breath through the nose. It also causes the release of “calming” neurochemistry in the brain and body. It’s interesting that a single, slow nasal breath exposes us to more of the surrounding atmosphere than our skin. It’s estimated that our skin is about 3 square meters if layed out as a sheet- exposed to the air and environment. The volume of “skin” inside the lungs is estimated to be 50-100 square meters if laid out as a sheet. The total surface area of all the little “air sacs” that fit in the lungs is amazing. Breathing through the nose (instead of the mouth) warms, moistens, and somewhat cleans the air as it swirls through the nasal passages. It’s “cleaner air”. Mouth breathing doesn’t moisten much, filter, or deliver as much oxygen as a single breathe through the nose. If you find it hard to breathe through the nose for 10 minutes, practice if throughout the day. It will get easier as the nasal tissues re-adapt to airflow. March 29, 2018 Comments Off on No Pain, No Problem? Is asymptomatic the same as “normal” and is “No pain, No problem” the standard of TMJ care today? Many chronic conditions such as hypertension, diabetes, heart disease, arthritis and neck problems go on for years without pain or notable symptoms by patients. TMJ dysfunction is also a progressive, measurable problem that ultimately leads to muscle or joint pain, bite issues, tooth fracture and loss, headaches, ear pain, dizziness, among other head and neck symptoms. In medicine, it has become standard to consider chronic, measurable joint damage as “normal” only because it isn’t painful. There are many reasons this has come to be the norm and is accepted. Early intervention is better than almost all attempts to manage advanced bone and joint disease, especially the TMJ. We know that infants that have short lingual frenum’s (tongue tied) don’t nurse well, have more problems eating as teeth erupt, and have altered jaw growth. 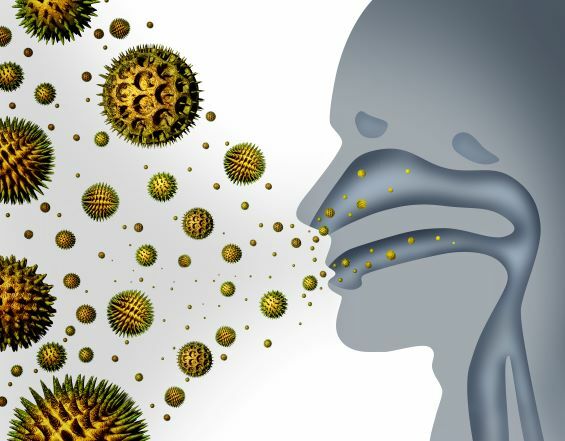 Likewise, early allergies to foods and environmental triggers can enlarge the tonsil tissue in the nose and throat. This leads to a cascade of growth distortions throughout the maxilla, mandible, and TMJ that strongly influence the onset of TMJ misalignment, damage and dysfunction over time. Crooked teeth are the initial sign (not symptom) that growth has been negatively affected. Straightening the teeth with braces may or may not correct an underlying TMJ problem. Sometimes the TMJ becomes symptomatic as orthodontics begins to move teeth that have an unstable jaw joint. Over our life, the adaptive systems change in response to direct injury, growth disturbances, and small or large injuries throughout the body. This is adaptation. As our adaptive capacities change over time, the compensation may be exceeded and pain or altered movement becomes noticed. One respected TMJ author (McNeill) estimates that 75% of the population may experience signs of TMJ/masticatory problems. A study this year (2018) assessed the Temporomandibular Joints (TMJ’s ) of 186 randomly selected people between ages of 18-21 that had no symptoms of a TMJ problem or an obvious bite problem found upon closer evaluation that 33.4% of the TMJ’s examined had early stretching/damage to the TMJ ligaments. 8% showed incomplete disc displacement and 5% had discs that fully displaced. None had symptoms based on current dental misconceptions of TMJ dysfunction. The earlier children are screened by a TMJ expert the better the opportunity to guide growth through non-surgical orthotic treatment as they progress through orthodontics or as a general risk assessment as they approach the teenage years. This can help avoid more complex damage to the TMJ, and less effective therapy if intercepted earlier and growth is redirected back towards heath of the jaws and TMJ together. Assessment of the Temporomandibular Joint Function in young adults without complaints from the masticatory system: International Journal of Medical Sciences, 2018;15(2). Kondrat, Sierpinska, Radke. Children don’t have “sleep apnea”; they have Sleep Disordered Breathing that will progress into Obstructive Sleep Apnea as an adult unless the craniofacial growth disturbances from childhood breathing problems are corrected. Snoring, loud or labored Breathing. Restless Sleep: tossing and turning, kicking the wall, find them twisted in sheets in am. Scalloped tongue/depressed curve of spee (bicuspid drop), tongue rests over posterior teeth or has lateral/anterior scalloping on tongue. Visible tonsils grade 1+ or more. 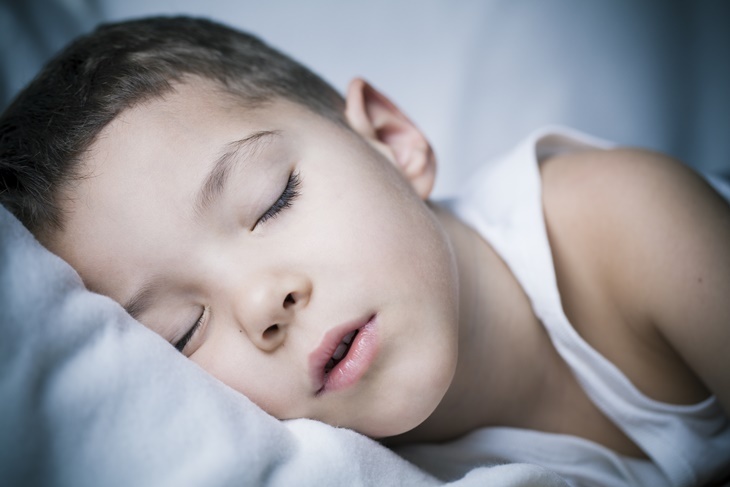 If you feel like your child may have a sleep disorder, please contact us here. Appropriate imaging and overnight pulse oximetry are the next level of data collected in order to confirm the need for Tonsillectomy and Adenoidectomy for the physician. 1. Store in case provided when not in use. 2. Wash orthotics with non-toxic soap or denture cleaner and brush. 3. DO NOT soak in or clean with abrasive, damaging products such as: mouthwash, rubbing alcohol, peroxide or toothpaste. 4. Brush Frequently. Brushing after each meal is recommended since your tongue is unable to remove food particles from under the orthotic. Meticulous oral hygiene is necessary to avoid tooth decay, gum disease or related dental problems. Please ask us for guidance if you are unsure how to clean your teeth sufficiently. 5. It is normal to have more saliva, difficulty speaking and tongue biting in the beginning. Your body will accommodate to the orthotic in 10-14 days and these symptoms typically subside. 6. It is common to experience new soreness in the temples, neck or other areas such as tooth achiness and sensitivity. Please contact us if this does not subside within 5-7 days. 7. KEEP AWAY FROM PETS! They love to chew on them and this will result in damage that you are responsible for replacing. 8. KEEP AWAY FROM HEAT! Do not leave in the hot car, put in microwave, dishwasher or boiling water. 9. DO NOT leave in car or in luggage! They can melt in the heat and shatter in the cold. Keep your orthotic in your purse or carry on luggage to assure temperature is safe. Click here if you are looking for a TMJ Specialist.